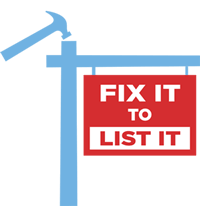 At Foundation Repair of CA, our Fix It to List It specialists know that real estate professionals have unique needs because of their industry. We understand the sensitive nature of a transaction when a concern is raised by an inspector or potential buyer. We also know that you are working under strict deadlines that need to be met. Our goal is to respect the interest of all parties involved and help you successfully move towards closing. Not only are we happy to work on a one on one basis, our Fix It to List It team is available to schedule free informational presentations for realty groups in the area. Contact us at 1-888-503-2416 for more information. QUICK RESPONSE TIMES: We have dedicated real estate evaluators. WRITTEN PROPOSAL: We will provide a written report, including findings and pictures within 2-3 days of evaluation. TRANSFERABLE WARRANTY: Our products are warrantied and are transferable when and if the home is sold again. To schedule an evaluation, please complete the quick form below and a representative will contact you shortly to schedule an appointment. There is a $375 fee for an evaluation and written report. *Additional fees may apply to multi-plex units.